I am sitting at my desk at home. It is the December holidays and I have promised myself that I will turn on my computer for one hour a day. So far, I have mostly managed to stick to that. I have had to do some work, but I won’t include work as part of my self imposed allocation. For the hour each day I am doing one post for scheduling for January 2015. And so, it was quite weird to type: In My Kitchen January 2015 when we are still in 2014. Celia from Fig Jam And Lime Cordial ‘gathers’ us together each month to share what is new in our kitchens. Here is what was added to my kitchen before January 2015. 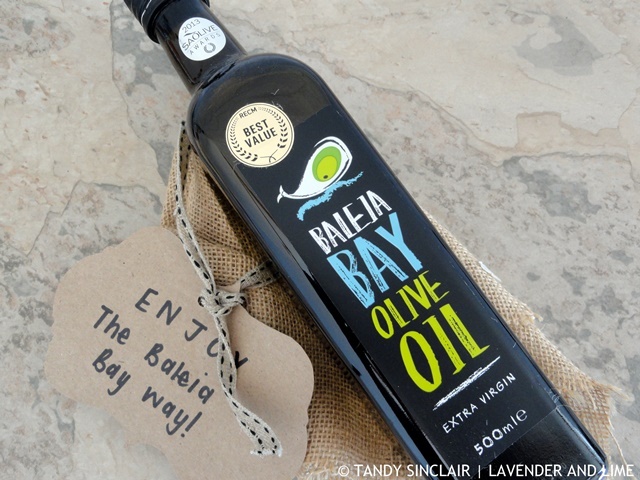 After our recent visit to Baleia Bay Deli I commented about the olive oil and I was sent a gift, which included a bottle. I am so looking forward to using this oil, especially for bread dipping. 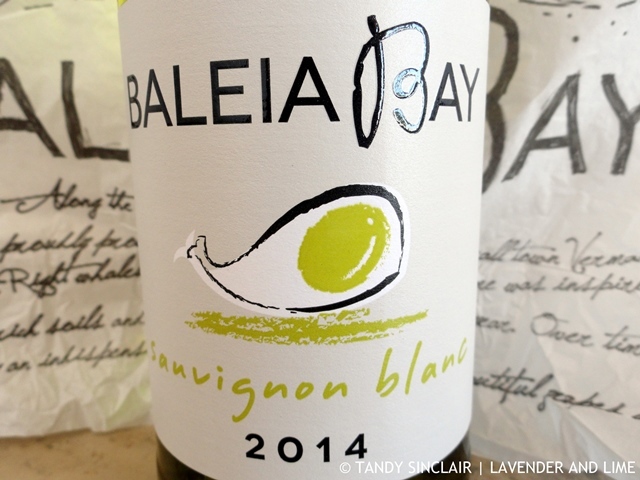 At the wine cellar at Baleia Bay, we did a tasting of their most recent wines, and the 2014 Sauvignon Blanc was one of them. Together with the olive oil, I was sent a bottle of the wine which I will be taking with us on Christmas Day for lunch. Checkers asked me if I would like to take part in their #SizzleSizzle promotion of their championship boerewors. This thick style sausage is extremely tasty and so far Dave and I have enjoyed two of the three packs that they gave me. This came with tomato ketchup, a bottle of coke, a pack of crisps and fire lighters and charcoal for the braai. A perfect treat for a summer’s day. After our day of giving with Checkers, we were sent home with a lovely goody bag. This included a bottle of their Odd Bins MCC. 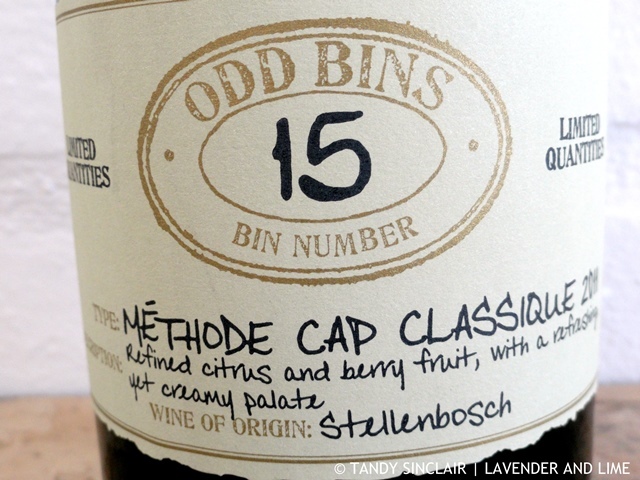 Checkers source grapes and use top winemakers to create their Odd Bins range of wines. This MCC is dry and crisp, just like I want my bubbles to be. The lots are numbered so that you can buy the same range again using the number as a reference. It has been many years since we last hosted a Christmas meal at our house. This year we are having James (Dave’s son), Carli (James’s girlfriend) and her parents over. Checkers gave me these crackers and so they will form part of our table. 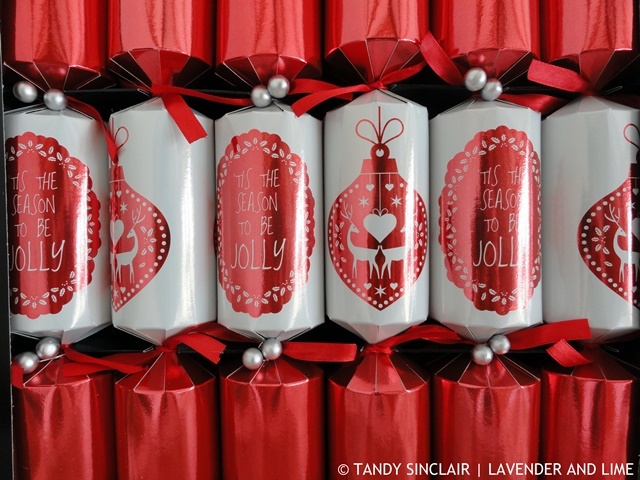 I have heard that you should get people to pull the crackers as soon as they sit down to create the festive mood, and that the crackers should have decent gifts in them. The one I opened at the Checkers function had a decent pen inside. I placed an order with Nomu in December as they had a special offer of free delivery. Included in the delivery would also be a gift, and I was so pleased to see this tin of decadent hot chocolate. From all accounts it is amazing and this will be a lovely treat for Dave during winter. I read on Lorraine’s blog about hand soap that had pumice in it. 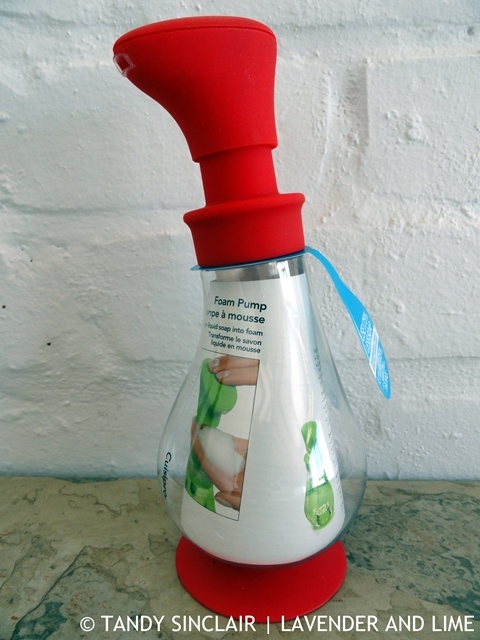 With that in mind I ordered a foam soap pump from Yuppiechef with a voucher I had been given. I decided I would add poppy seeds to the soap to get the same affect as the pumice. Sadly so far I have not managed to pump any poppy seeds into my hands. But the foam is super awesome and you use way less liquid soap this way as the soap is topped with water. Dave was given a set of wine glasses for his birthday a few years ago. As he did not like the stems we took them to the store and exchanged them for glasses he preferred. However, the glass has clouded over and I am not sure why. 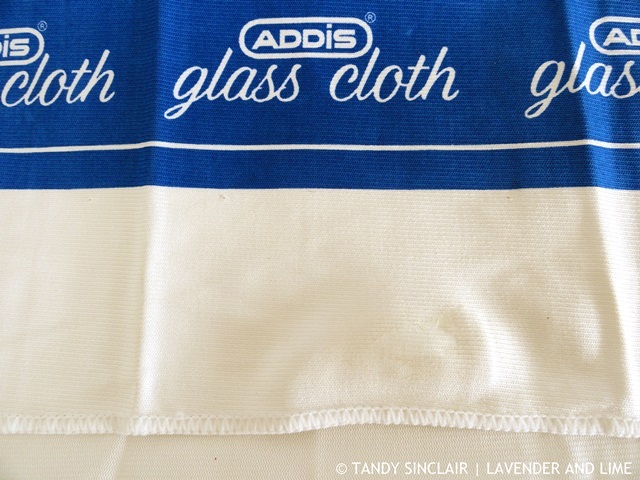 I have bought myself a glass cloth and I will try and polish the glasses during the course of the month, after I have put them through the glass cycle in my dishwasher. I want to make gefilte fish for Passover and to do so I need a recipe. I went to one of our local book stores and asked them if they had a Jewish cook book. The answer “yes, we have the book Jerusalem” I had to explain that even though Yotam is Jewish, his books aren’t exactly Jewish cook books. 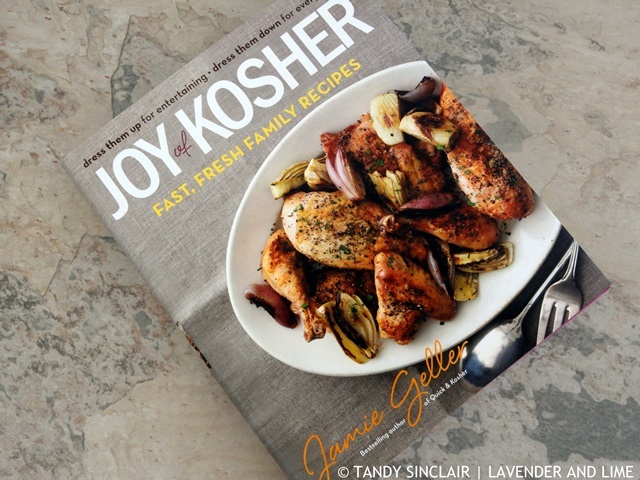 I went to another store and browsed through their selection and saw Joy Of Kosher. I saw there was a recipe for Gefilte fish, and without reading the recipe decided this would be the book I would buy. I got home to read the recipe, only to discover that in America you buy gefilte fish to make into gefilte fish! This is so funny. But, I will adapt the recipe and share it with you once I have done so. In my order from Nomu is this large catering size pack of cocoa. 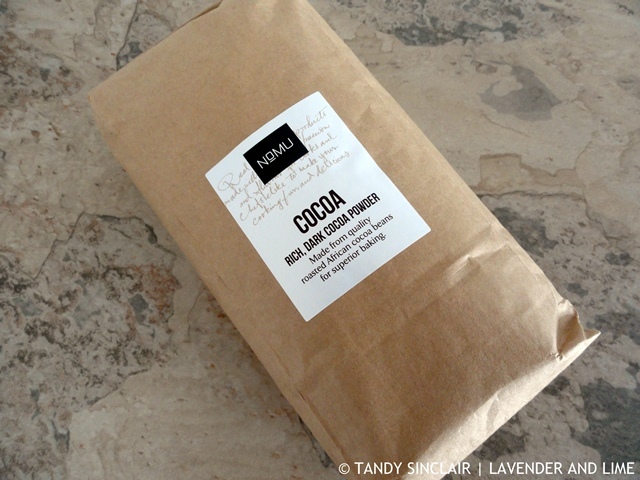 Theirs is by far the best cocoa I have ever used, and buying in bulk makes a lot of sense to me. My order came beautifully wrapped with a handwritten card. And as if the hot chocolate was not enough of a gift I also got a packet of all purpose rub and two recipe cards. Also in the Checkers goody bag was a set of salt and pepper grinders. 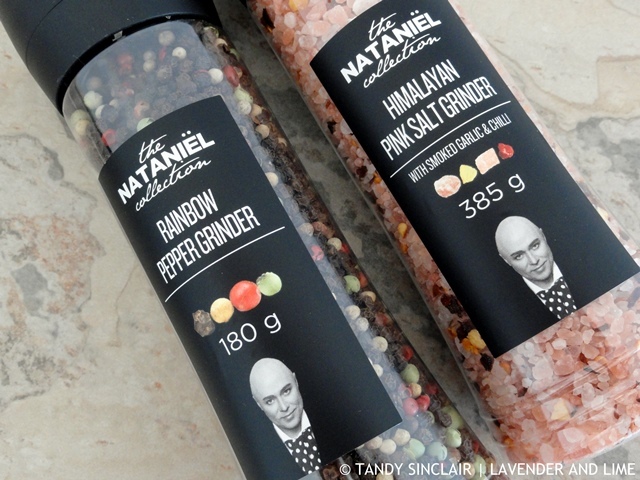 Nataniël is quite the celebrity here and I must say that I am enjoying having these super sized grinders in my kitchen. 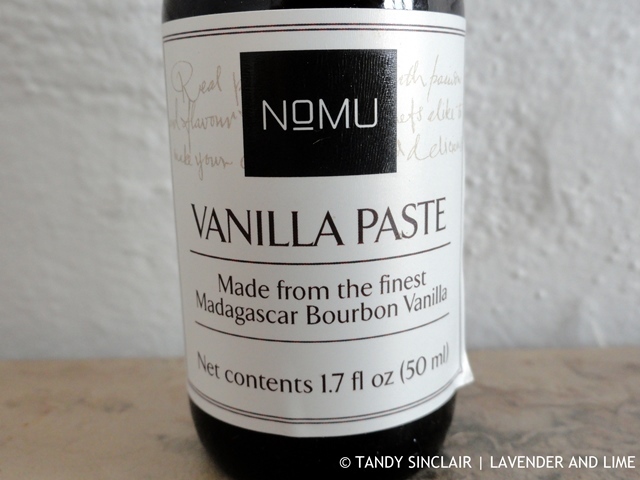 I also ordered Nomu vanilla paste as I did not think I would have time to make my own this December, given that I need to get through a lot of recipes while we are on leave. I want to make one recipe a day so that I have a good store of recipes for scheduling in 2015. We have two overseas trips booked and I don’t want to be under any pressure at all. Hi Tandy, WOW those sausages look perfect for the BBQ! I look forward to your gefilte fish recipe, I’ve never had it but it’s something I’ve always wondered about from hearing it on tv shows, I think the Nanny or the Golden Girls! Lots of delicious looking goodies. 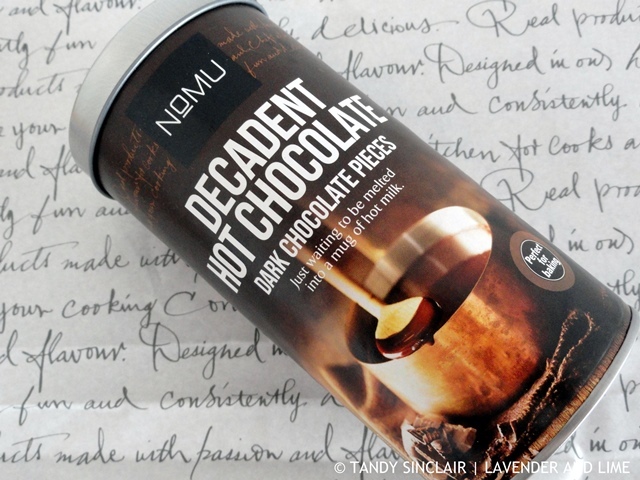 Nomu sounds like a lovely company and their,products look delicious. Good luck with your gefilte fish. Lots of delicious looking goodies. 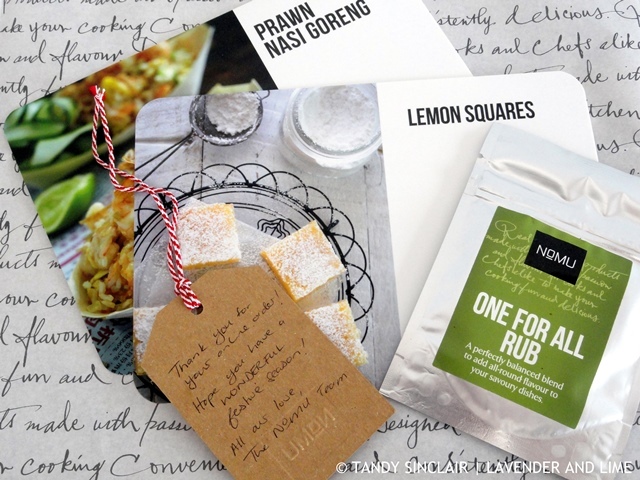 Nomu sounds like a lovely company and their,products look delicious. Good,luck with your gefilte fish. 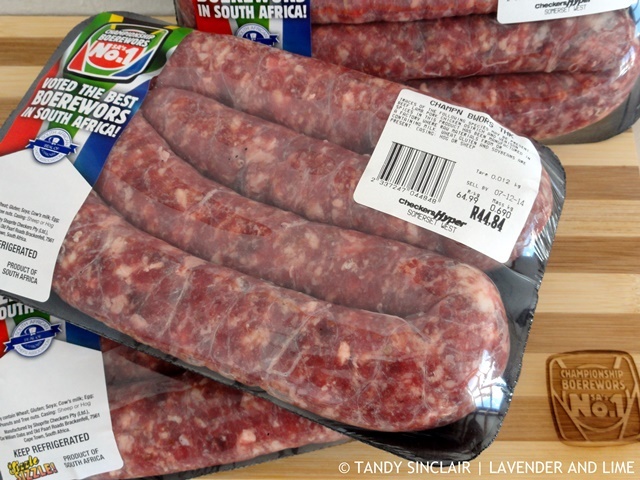 Okay i got stuck and mesmerized by those amazing look boerewors. Just look at how amazing they look. I wonder what you will cook with them. Can you tell I’m so hungry right now? lol. What a varied and interesting mix of new things. Happy New Year! We have similar goals to have a varied list of posts ready for a busy 2015. What is Nomu? A spice shop? I am not familiar with it. Thank you Anna, 2015 has been very kind so far! Tandy, happy new year! You have some really interesting things in your kitchen. Happy cooking my friend. Thank you Liz, and the same to you! Oh, lots of goodies there – Tandy. It was quite a collection! That is one amazing goodie bag. I can’t wait to see what you are going to do with that cocoa… Wishing you an awesome start to 2015!